I worked in this institution more than one and half years as a residence Buddhist Monk and a teacher. This is called as one of the top Buddhist institution in Bangladesh. Shimo Sraman updated their profile information. Shimo Sraman added interests Philosophy and Buddhism. 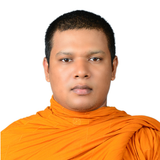 Shimo Sraman added interests tourism, Morality in Daily life, Wisdom and Science and more. Shimo Sraman changed their profile image.